Barry Walker’s involvement as a volunteer administrator in Tasmanian football spans more than 40 years and covers all levels from high school to statewide competitions. Captain of Cooee’s 1961 U19 premiership team, Walker’s career was cut short by injuries. His initial role as a volunteer was in 1967 as a goal umpire with the North West Football Union. It was in 1970 that Walker reached his highest umpiring achievement when he officiated in the Tasmanian state grand final between Latrobe and Clarence at Devonport. Walker entered the field of administration in 1973 with the South Burnie Football Club, where he was President for six years during his eight-year tenure. This was followed by nine years as an executive member of Darwin Football Association, serving that organisation variously as Publicity Officer, Secretary and Treasurer. In 1992 Walker progressed to the Tasmanian Football League with his election as President of the Burnie Hawks Football Club. During his second year he convened meetings of the Burnie Hawks and Burnie Tigers football clubs and at the end of 1993 a new club was formed, the Burnie Dockers. Another major achievement has been his work in junior development. At the beginning of 1998 the Darwin Football Association introduced an U17 competition that initially consisted of four teams. Walker was elected as inaugural Secretary of the operational committee and he still holds that position today. Since then, as well as undergoing several name changes, the competition has grown considerably and the North West Junior Football League currently involves all six NTFL clubs plus two statewide clubs who field teams in both under 14 and under 17 grades. For the past nine years Walker has also held the position of North West Junior Football Union Treasurer and Statistician, engaging 15 high schools and colleges involving almost 1000 students. 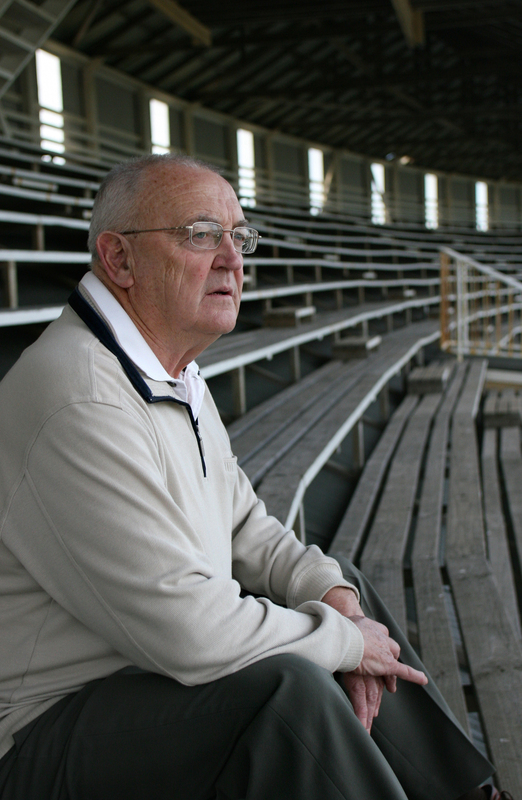 Barry Walker’s long service to all levels of his football community is enhanced by the importance of his key achievements in Tasmanian football.